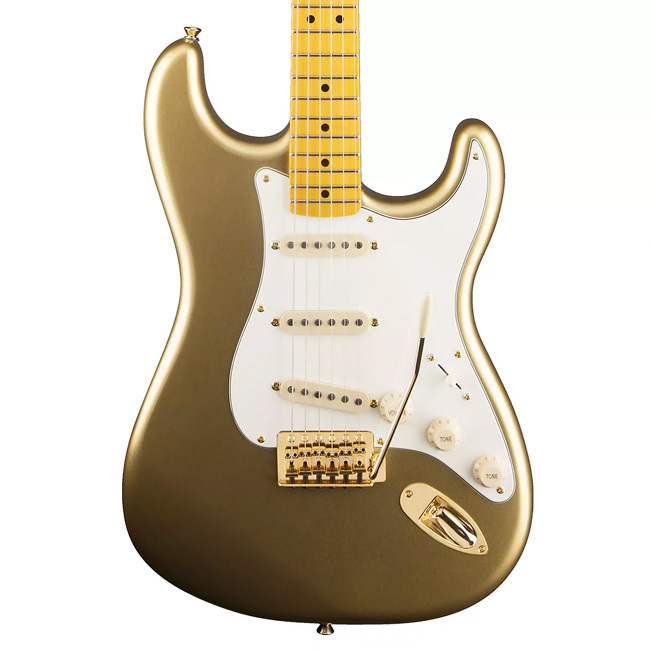 So you're looking to start playing the blues, but you can't afford a Burst—or a even new USA-made Stratocaster? Well, never fear—there are plenty of affordable guitars on the market that will more than do the job. The truth of guitar buying is that you don't need to dynamite your way into a bank vault to be able to afford a quality guitar. Especially for the blues, you don't need an expensive guitar. For one, most of the guitars that the originators started playing on were not always good guitars in and of themselves. That doesn't mean you need to be playing a vintage Sears catalog stinker to learn to play guitar like the old guys. All you really need is a guitar that is comfortable to play and gets the right sound—especially if you are new to the style or new to guitar in general. While there are remnants of new-age Jack White-like fetishism lingering in the guitar community—mainly, the idea of needing to play older instruments that "fight you back" in order to get the blues sound—many players have moved on. Even Jack has seemed to have done this, as evidenced by his recent comments and guitar choices. The idea of playing a near-broken guitar to sound like the late great Hound Dog Taylor should be pretty much out the window in 2018, along with your busted Teisco (save those gold foils though). In order to really develop the best techniques for electric blues and guitar playing in totality, you need a guitar that will handle bends, vibrato, and a strong attack. That's all. With this in mind, we've compiled some of the best new, used, and mostly modern electric guitars that will help get you started on your blues journey. The best part is every guitar on this list can be acquired for around $500 USD or less. 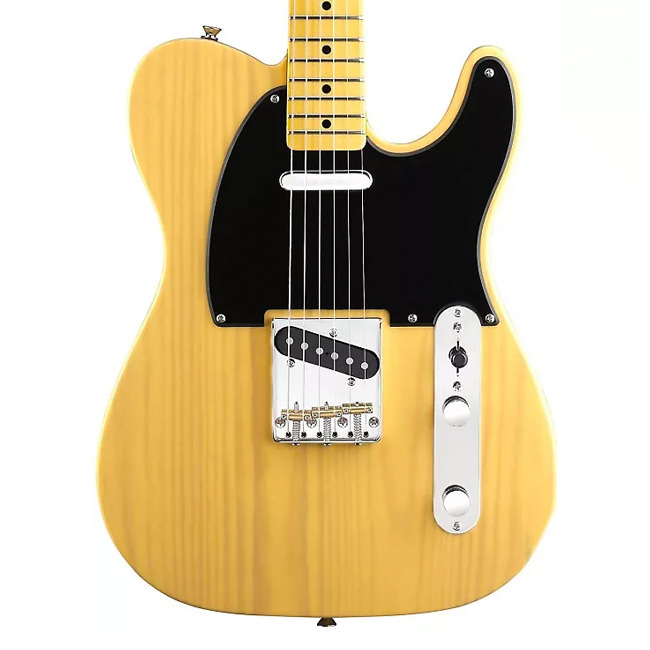 When you think of blues guitars, not everyone thinks of Thinline Telecasters. However, the Telecaster in general is a fantastic blues guitar and all-around instrument. It has been played by countless legends of the blues, including the dark troubadour himself, Mike Bloomfield. With this in mind, there are many fantastic affordable options for a blues Telecaster on the market—made-in-Mexico (MIM) Tele with noiseless or Texas Special pickups, anyone? 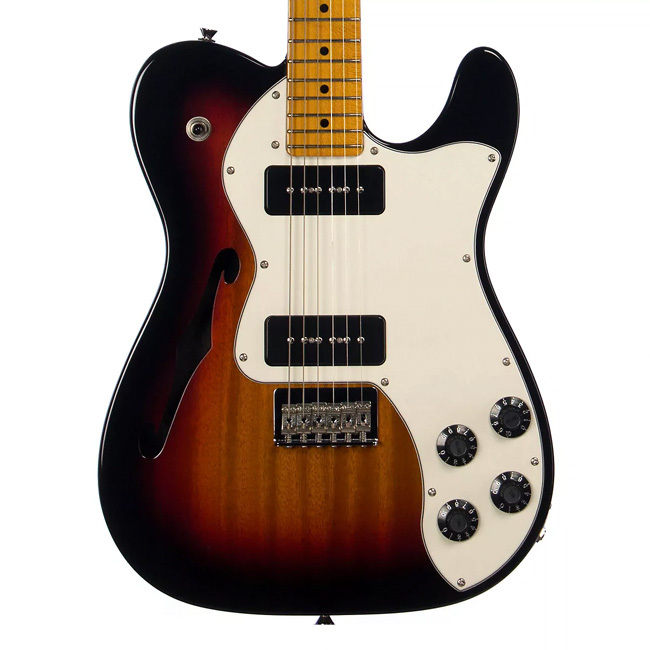 But to start, we will go with one of Fender's newer, China-made entries: the Modern Player Thinline Telecaster. Now a lot of players will be hesitant to try a made-in-China guitar but for a newer player, the Modern Player series knocks it out of the park. 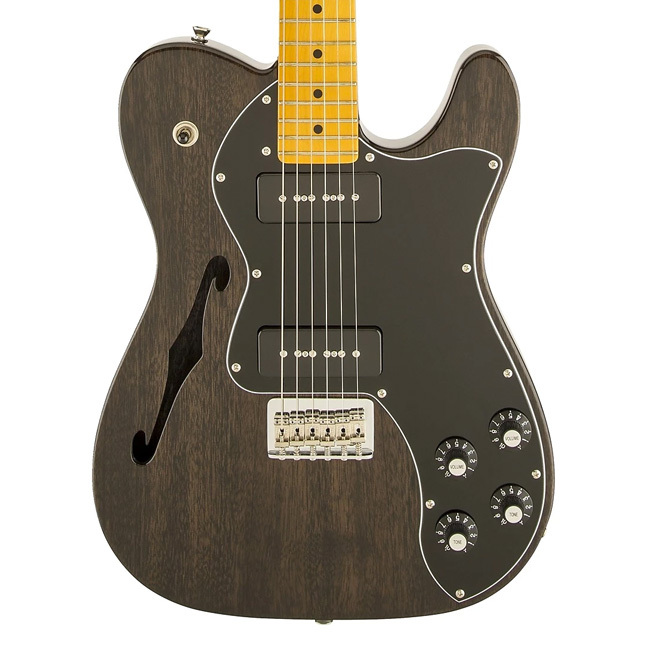 Specifically for blues, the Modern Player Thinline Telecasters will impress the hardest critics of import guitars. The necks on these are surprisingly comfortable and fast-playing, for one. The stock P-90s are warm especially for the price-range (these can be found usually for $300–499) and full of character, tonally, coupled with the chambered body. Besides being excellent stock guitars for the price range, this series in general is extremely customizable and upgradable. A new set of pickups, some locking tuners, and a bone nut later and this truly could rival many newer, mass-produced USA-made guitars. While Squier is Fender's less expensive budget brand, they have been known over the years to make a number of nice guitars for the money. From their '80s MIJ-made SQ series and the hardtail Bullet models, Squier got its start as a brand shocking players with surprising quality. Hearkening back to its RI and SQ-series start, the recent Classic Vibe series is arguably the best series Squier has produced since their inaugural SQ series. The Classic Vibes came in a number of models, but with the blues in mind, a couple of entries rise to the top. Specifically, the '50s and '60s Classic Vibe Stratocaster and '50s Classic Vibe Telecaster. Anyone who has seen or played one of these can speak to the bang-for-your-buck factor. On a pure aesthetic level, these guitars look superb and come in a variety of finish options with a number of premium visual touches, such as matching headstocks. For the true electric blues blues-fans especially, the two-tone sunburst '50s Stratocaster is a traditional stunner. The neck shapes are relatively true to the early Telecasters and Stratocasters that they seek to emulate (the thinner ones), and they will provide a satisfying playing experience for any new blues head. The other thing about these guitars is that the stock pickups themselves actually sound pretty good—a rarity at guitars at this price-point. They will more than get the job done in your first pursuits of the blues. That said, changing out the pickups isn't necessarily something to write off—an upgraded set can only improve the guitar. Once upon a time, this here author swapped in a pair of Texas Specials into the body of a '50s Classic Vibe body and was knocked over by the sound. Throw in some Fender Custom Shop or Boutique-brand pickups like Lollar—and maybe a new wiring harness to go with them—and I assure you that hardly anyone will be able to tell it is not USA Fender sonically. The only dead giveaway will be the classy gold Squier decal on the headstock. When you factor in that the cost of these guitars goes from the low- to mid-$200s used to $399 brand-spanking-new, it's one of the best budget guitars out there, period. Eastwood makes a lot of memorable guitars based on rare and hard-to-acquire models like those found in the Sears and Montgomery-Ward catalogs of yesteryear. Eastwood is known for their unique designs and outstanding value, which makes them a solid company to turn to for your next guitar. While they make a number of great blues guitars, few exist in a price-range currently that qualifies them for inclusion on this list… except for their Classic 6 HB model. 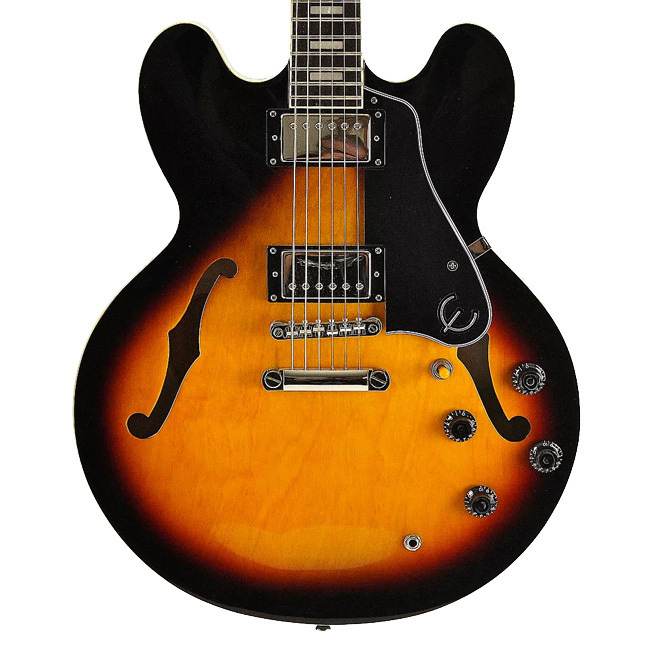 For a number of players, the Gibson ES-335 is the quintessential blues guitar—and the Classic 6 HB is Eastwood's take on the 335, if it was mated with a late-'60s Gretsch 6120. 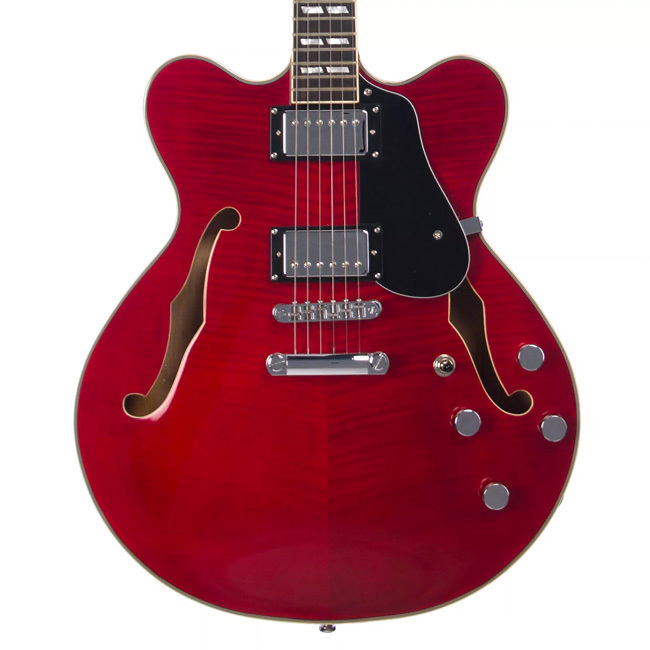 In this spirit, Eastwood has truly succeeded with making a quality and affordable semi-hollowbody for country and blues. The stock pickups in this guitar sound quite warm with just the right amount of cluckiness so as not to be dull. This sound, paired with a hearty amount of semi-hollow sustain, checks a lot of boxes for a great budget blues guitar. 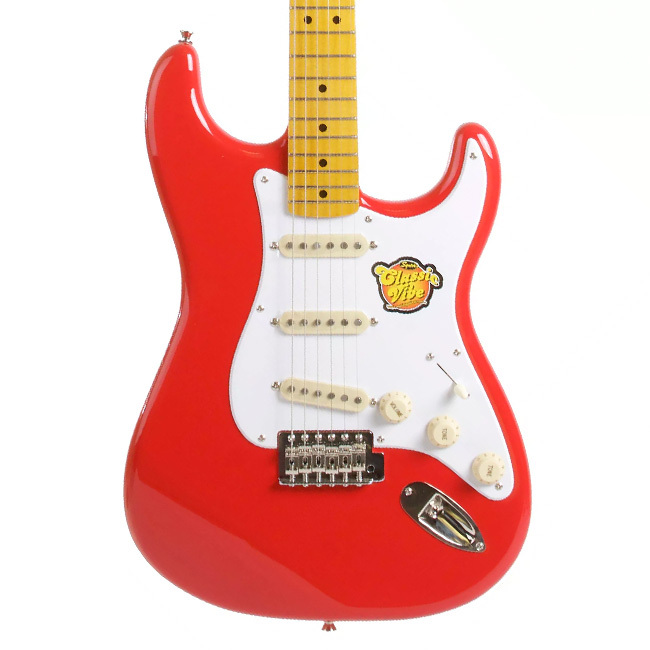 This guitar also doesn't need any real upgrades. It's a decent outing by the brand and the tuning stability is commendable for the price range. Whether you're a looking to dig in on your Jimmie Vaughan rhythms or B.B. King lead licks, this guitar will likely be able to handle it. New from Eastwood, these guitars go for around $550-599 USD but on the used market, the prices can be much lower. Last and certainly not least on our main list is Gibson's own starter offerings from the recent past: the Faded Les Paul and SG Special. While Gibson's more recent USA-made offerings have a reputation for being higher-priced (and for leaving a bit to be desired in terms of the quality), Gibson USA was doing some very good work in the '90s through the end of the 2000s. The nice thing for the consumer too is that they made a ton of guitars—so the prices aren't exactly through the roof. It's easy to still get a quality USA Gibson without breaking the bank. The Faded Specials from the late '90s through the 2000s are a great starter blues guitar. 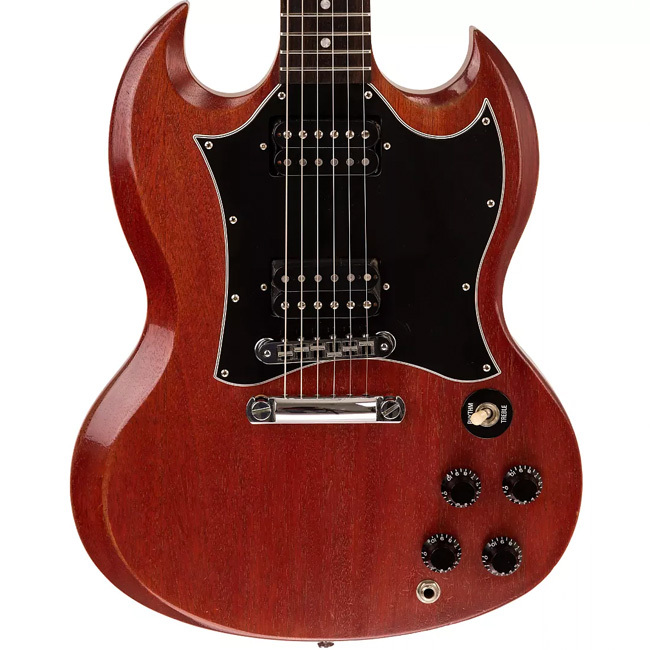 As a young bluesman, my first *real* guitar I had was a late-'90s Gibson SG model (non-faded) and it helped me getting an early feel of what a quality guitar plays like. Better yet, it allowed me to develop better blues technique early on instead of having to "fight the guitar" like I did with my Montana and Ibanez starter acoustics or that red cheapo-Washburn starter electric that I despised. 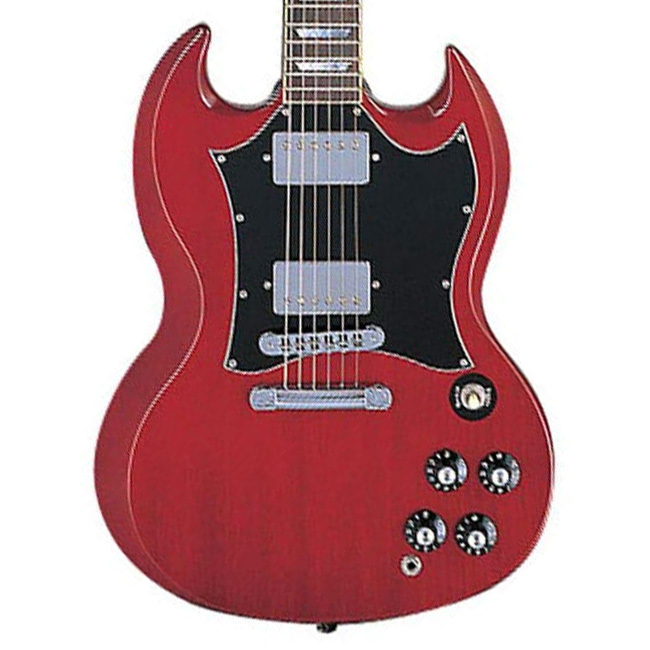 The Faded SGs and LPs especially are lightning-fast players with early '60s-inspired necks. The mahogany bodies have tons of sustain as well, making them a pleasure for any new blues player looking to develop their slowhand. In regards to the sound of the guitar, the stock pickups sound excellent for blues and rock. That said, one upside to buying these used is that over the years some players have swapped out the original pickups for upgraded options like Classic 57s or boutique offerings. Often, they aren't necessarily charging any more for the upgrades either, which makes these models a premier value buy as a used offering. While sometimes the price can exceed the range that we are shooting for (below $500) these are nearly criminal not to mention because it is often a matter of a few bucks literally and figuratively speaking. The Faded Specials have been known to go on the resale market for $400-550, occasionally for even less with increased wear or repaired headstocks, making them unbelievable guitars in this price range. They are real deal USA Gibsons. 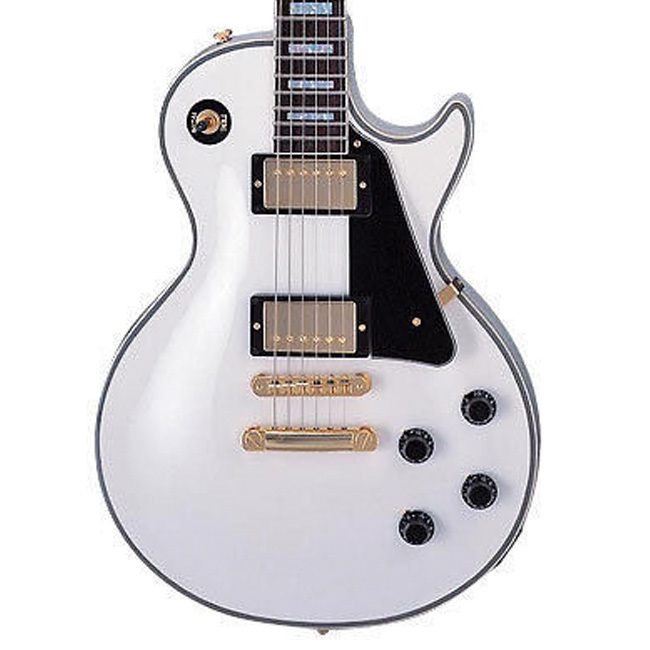 And they play and sound as good—if not considerably better—than any other guitar in this price range currently, regardless of genre. 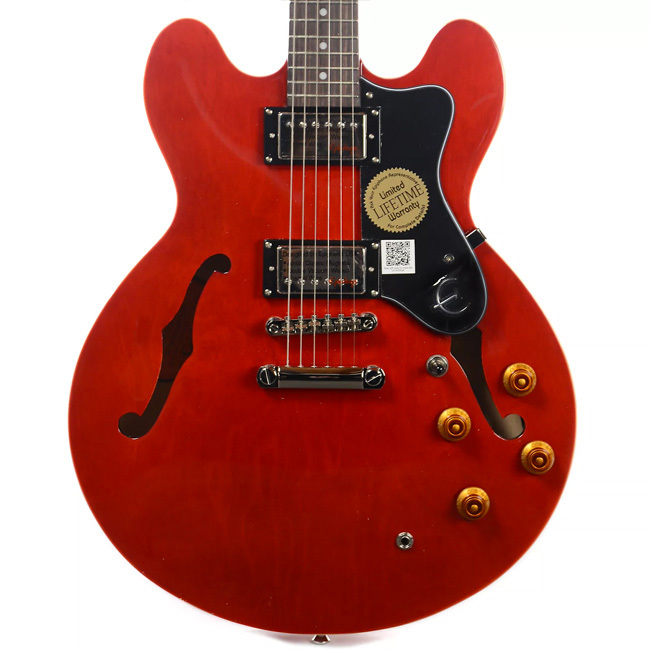 Epiphone has always been a solid option for affordable and quality budget guitars. While the electronics can sometimes leave something to be desired over time with use, overall they are still good guitars and can easily be found for under $500. Their Dot and 335 Pro models, in particular, are quality entries from Epiphone and more than do the job on a night of at-home bluesing. Paired with some Classic 57 pickups and a new nut, these guitars will shine as a blues axe and then some. One of the more famous lines you will hear if you spend enough time in guitar shops is "Don't get a Gibson, just find an old Burny online." 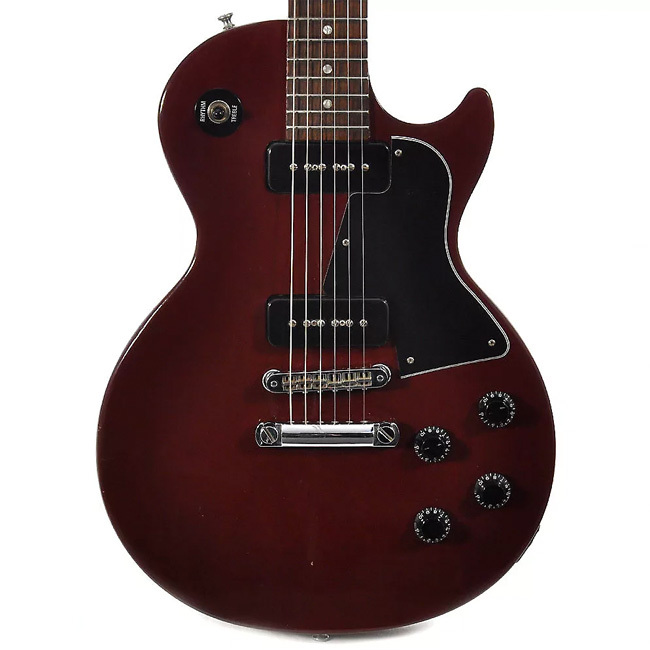 In truth, the right "old Burny" can be pretty hard to find, but they will get you the classic Gibson look and blues sound... just with a different logo. Burny Les Paul and SG copies can tend to sell on the used market in the upper $400 range. What is cool with this brand is sometimes you see some of the higher-end copies selling for cheaper as well, because people just don't know fully what they have. In the words of budget-minded guitar store owners everywhere, "Keep your eyes open for a Burny, man."